Our system improves effectiveness by treating all and any part of each plant, by a 450°C hot jet exhaust and steam trating the plants in full to the ground. The system is "fireproof", as it has no oxygen or open flames. In fact, it can pass over dry paper without causing any fire! The consumption per hour is 15 kg fuel and 30 kg water, with a capacety of 3500 - 4500 m². Consumption converted to hectares will be 45 kg fuel and 90 kg water (in rain, no extra water needed) per hectare. The first photo above was taken right after a weed test and it did look as if we just washed the grass! Two days later we made the photo below and it shows the result after one treatment! 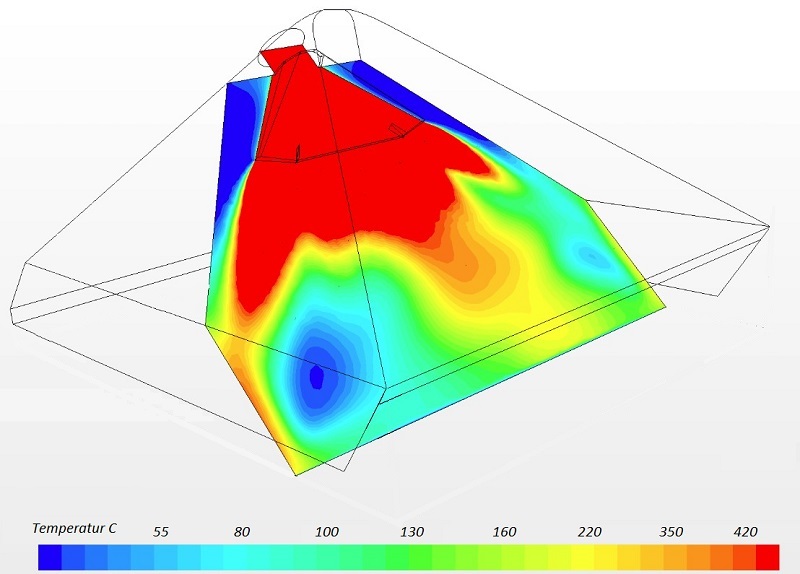 The 55 kg W-JET M1 jet module can deliver up to 95 m³/min at 670°C when used for road drying. For WEED Control we only need power slightly above idle, then producing app 16 m³ hot exhaust per min., and with the patented WATER INJECTOR System the exhaust temperature will go down to app 450°C now as steam and hot jet exhaust air circulating under the heatshield with a tremendously greater heat transfer capability. The JET turbine noise is hereby lowered to a minimum, as well as fuel consume is reduced to 15 l/h, water consume (in rain or wet conditions no need) on a dry day is up to 30 l/h. Treat capacity is app 3500 to 4500 m²/h. 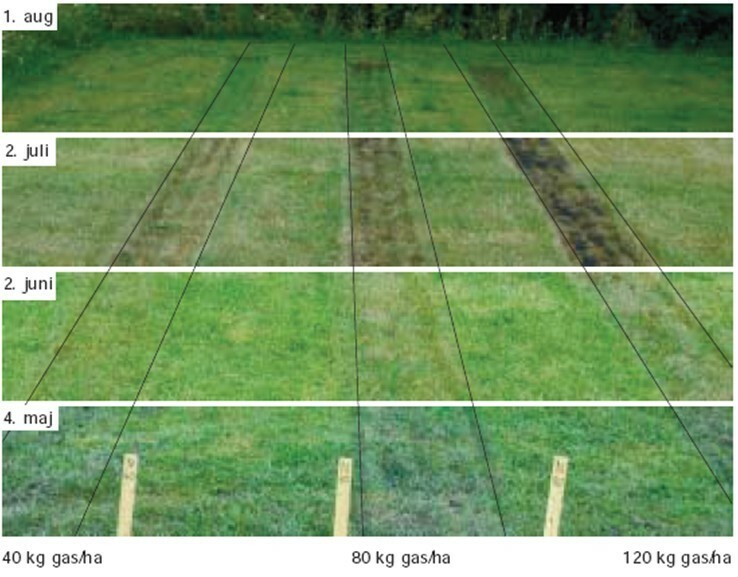 Photo to the right shows a test field where there was performed 10 treatments at two-week intervals with dosages from 40 kg gas/ha/treatment in the left box, 80 kg in the middle and 120 kg to right. There was so 40 kg difference between each stripe, but there was significant differ-rence in the effect between 40 and 80 kg gas/ha than between 80 and 120 kg gas/ha. It was no additional effect by increasing to 120 kg gas/ha. It was so concluded that the pesticide-free methods require ongoing effort because they only remove weeds here and now, not preventive. We offer the WEED system build up on several self-propelled machines, small walk behind units and larger tractors with comfortable air-conditioned cabin. Type WAT1 to WAT4 can carry single or double W-JET M1 Modules, and fuel and water for several hours, excellent for working 4 -6 hours without need for refueling. We produce Road Dryer and Weed Control Systems that improve effectiveness and minimize costs in comparison to other conventional solutions. Our products include 1-year warranty, ongoing service and 24/7 support.